These are about as good as it gets. 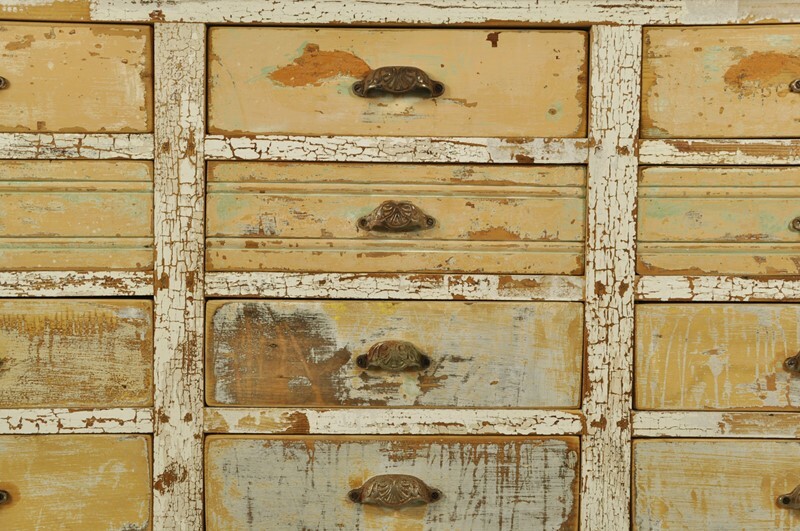 Sourced from a shop in France this counter has an amazing patina with lovely crackled paint. Although this would have stood in the middle of a shop and would make a fantastic island we would expect this to be used against the wall as a sideboard. 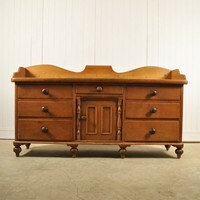 Great structural condition, some of the drawers have been remade. The top is particularly interesting and, as we strive for the authentic, love the paint splatters and the zinc insert - however if required we could sand and re-finish the top + £ 100.00.